I’m attempting to convert over from Vanilla 2.0 to bbPress. I’d like to test first on my local machine, so I’m trying the Import Forums option in my local WP install. My question: Should there be any problem importing from a live instance to my local? I’m in PHPMyAdmin and quadruple checking all my settings, so as far as I can tell, I’m inputting all the database settings within bbPress correctly. Sadly, once I start the conversion, I get the “No xxxxxx” set of errors. What are some common database setting mistakes, just in case I might be overlooking some options? Also, could it be that I’m importing to my local machine and that’s causing the problem (I assume not)? Your issue will be that you are trying to import a ‘remote’ database, you need to make a copy of the database and add it to your local MySQL instance. 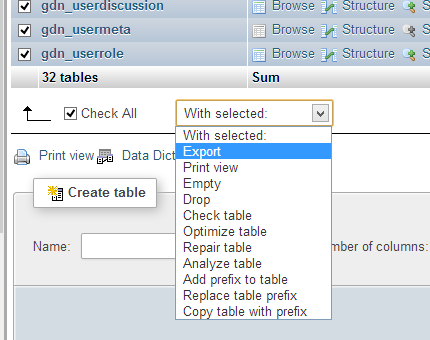 Open up your database in phpMyAdmin, hit ‘Check All’ to select all the tables then select ‘Export’ from the dropdown. 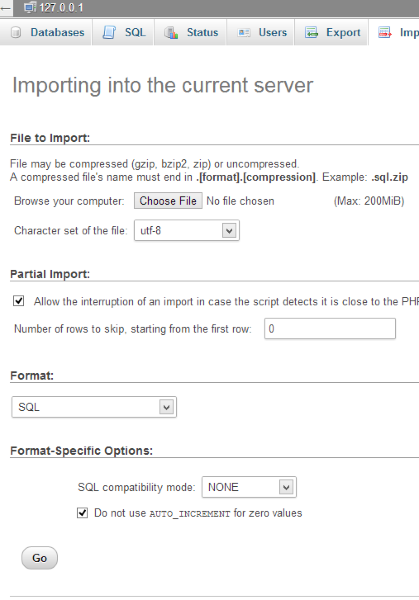 Open up this new database and select ‘Import’ and click ‘Choose file’ to grab the file you exported above and you now have a local copy of your database. Works perfectly, thanks Stephen. I had a feeling I was overlooking something straightforward. Another (possibly dumb, considering the late hour) question: If all looks good and I wanted to replicate this on the live site, do I simply import from my local machine to live? Or should I just repeat this whole process from scratch on my live instance? If things look fine doing the import locally then just do the import again on your live site as migrating your local install to a remote install is not the best of experiences at the moment. Sounds good, appreciate the insight, Stephen!